How to hire the bandstand, the cost and hire policy. 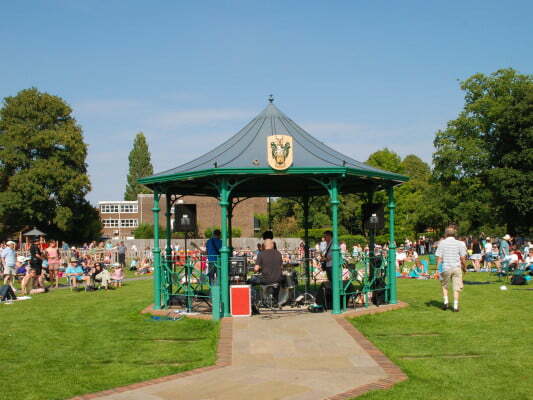 Farnham’s bandstand is the focal point for many of the events that take place at Gostrey Meadow. Live music is performed from the bandstand during the summer’s Music in the Meadow concerts and it serves as Santa’s grotto at the Christmas Light’s Switch-On. More information can be found in our Bandstand hire policy. The charge for non-commercial organisations and charities is £25. We ask for a £200 deposit which is refundable after the event. To hire the bandstand, please complete our application form. Alternatively, you can get in touch using the contact details on this page.